While we do not claim to have every type of roof tile ever made, we do pride ourselves in having a good number of the old historic and obsolete roof tiles still sought today. 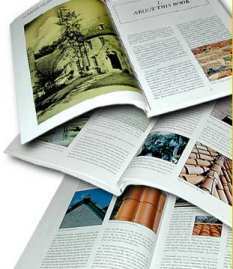 The following pages may be used in identifying the tile that you need or are searching for. It is important to remember that, even with historic roof tiles, they were manufactured in a variety of colors and styles. If the style that you have selected is not available in the color you desire, please indicate to us your color preference. New to Roof Tile? Click here. Know what you need? Go to the inquiry page. We've written the only book of it's kind to aid in identifying historic roof tile. If you're having trouble matching your roof tile THIS IS A MUST! The high quality, close-up pictures provide measurements and details to help you find which roof tile you're dealing with. What roof tile are you looking for? 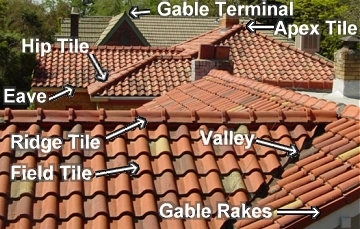 If you don�t match the roof tile you are looking for, don�t give up! There are many tiles which remain available, either with us or with another supplier, which are not shown. And if a tile cannot be obtained, we work with specialty manufacturing companies that pride themselves in the duplication of historic roofing tiles. We have perhaps the largest collection of Heinz Roofing Tile in the world! As a major supplier of clay roofing tile from 1912 to 1945, the Heinz concern was a major competitor of the well known Ludowici company. The two companies had almost identical product lines and very often one is confused for the other. These tiles are found all over the United States and Canada. Whatever roof tile it is you are searching for, just remember that most old tile acquisitions are in limited quantities and tile availability is subject to change from day to day. 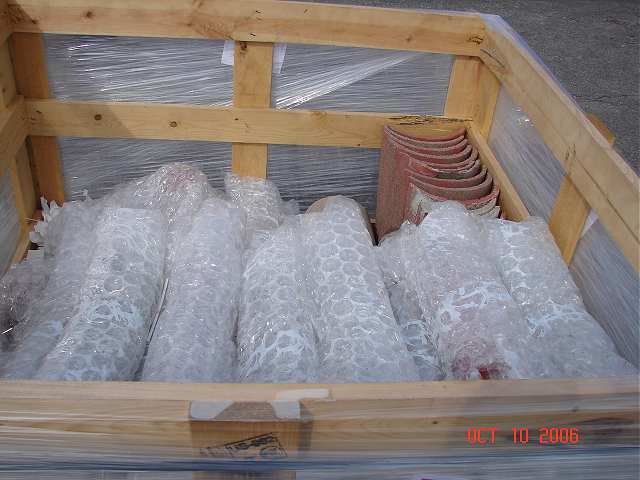 Because we've been providing the industry with hard-to-find roof tiles for so long, we have the best protective shipping methods. 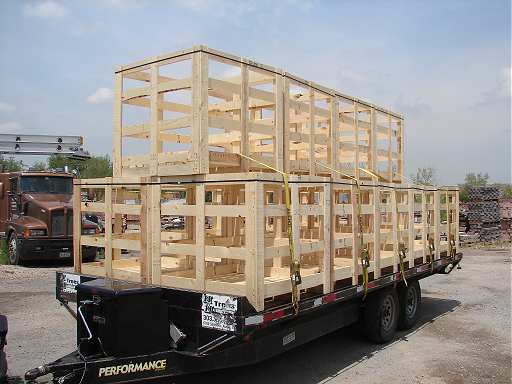 Our custom made pallets shown below are specifically made to protect your investment during shipping. 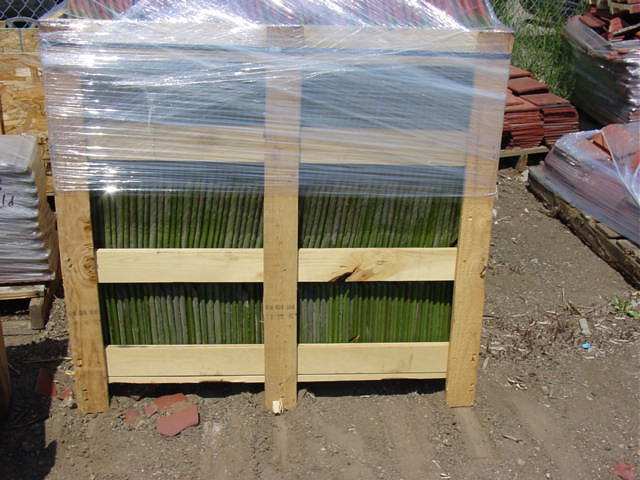 The photos below illustrate the care we take in preparing the roof tile for shipping.